Your child starting school for the first time is an exciting milestone in their lives. It can also be daunting and scary, not just for them, but for you as a parent. Gone are the days where it is just the first week of September that parents across the country turn into blubbering messes as the big day arrives. Many schools now invite children to start the day after their 3rd birthday, with schemes in some parts of the country taking them even younger. So what can you do to make this process go as smoothly as possible for both you and your child? 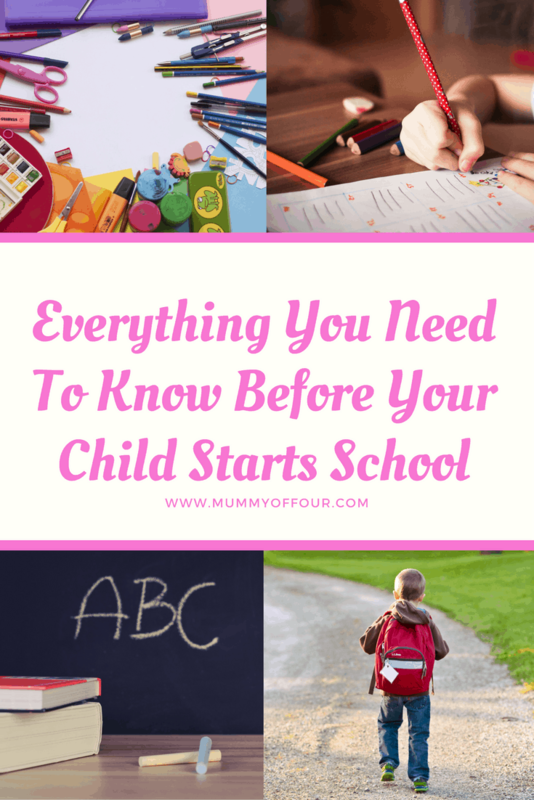 Read on for everything you need to know to prepare for when your child starts school, or click on the video below to watch me talk about everything that you need to know. And I mean EVERYTHING. Children, especially my children, have a knack for losing anything and everything as soon as they enter the classroom. Having, in previous years, spent hours sewing in name labels, then trying the iron in ones (which still take ages really), I can across a genius solution from a company called My NameTags. I cannot tell you how many times these mighty little stickers have saved the day. They are especially handy to have in the house when you have a random non uniform or toy day sprung upon you so that you can label anything at all that goes to school at the last minute. Click here to visit the My NameTags website. As I talk about in my Stress Free School Run Mornings post, I purchase 5 complete sets of uniform and organise everything ready for the week ahead each weekend. While this may seem like a more costly option, school uniform in the supermarkets is very reasonable, plus more uniform means that every item will suffer less wear and tear and will last longer. It will save you loads of work and hassle through the week too, as everything can be organised on the weekends. Before your child starts school, make sure that their uniform is prepared. 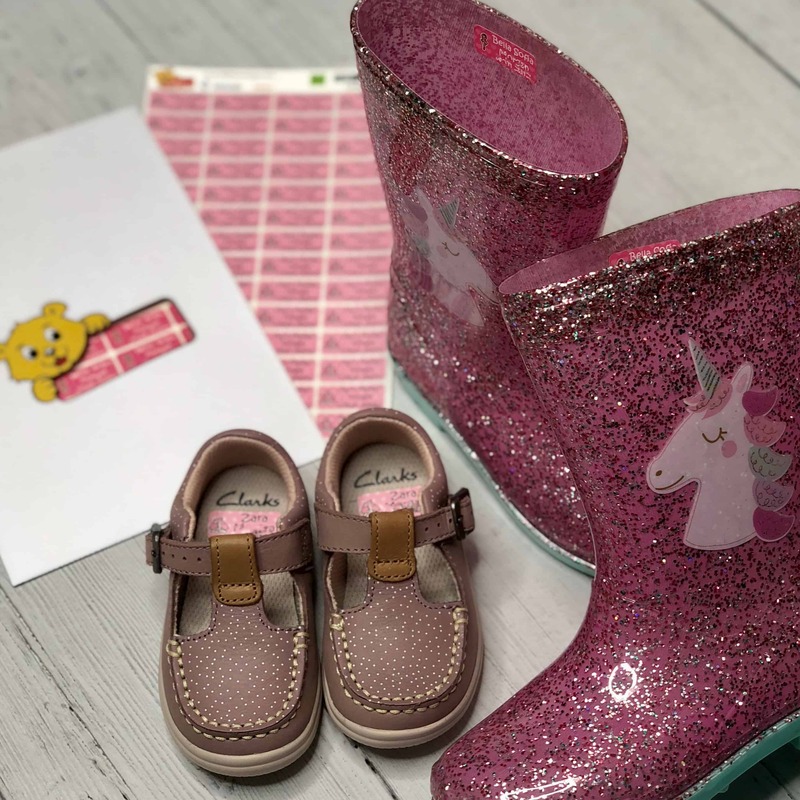 Try everything on them to make sure that it fits properly and that nothing is irritating them, such as labels that need to be removed. I would recommend prewashing school jumpers, most of which seem to be lined with fluff, which, before washing, will coat their t-shirts making them a fluffy mess. Arrange a visit for your child to look around the classroom and meet the teacher prior to starting. Atrend any playgroups, school fetes or events in the school before their first day. Look for photographs on the school website and talk about them with your little one. As soon as your child starts school, make sure that you find out which days that your child will need extra equipment for activities such as outdoor learning, PE or reading days. Generally, this information will come out to you in the form of a letter. 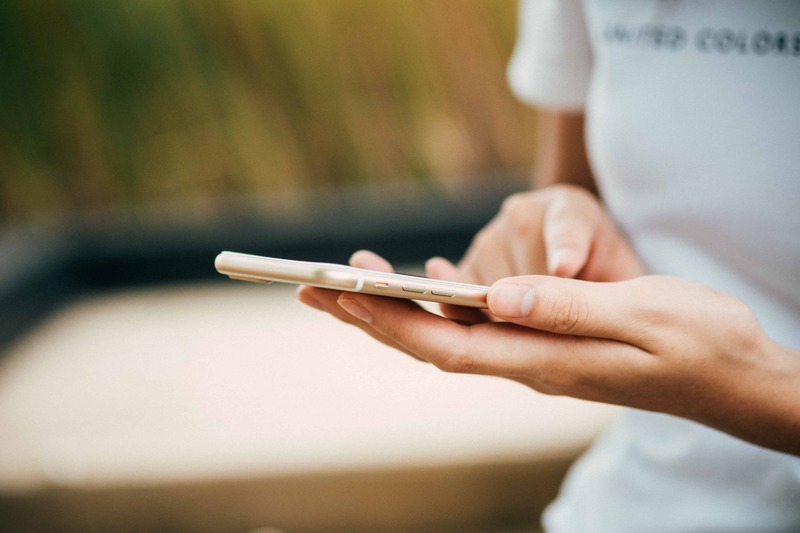 Once you have these date, make sure that you set reminders in your phone to go off the night before, which will prompt you to put the relevant equipment by the front door, ready for the morning. I love using Evernote, an amazing and FREE app, which I use to store all of the letters that come home from school. You quite simply photograph the letter on your phone or tablet and the app will store the information in the form of a scanned document. 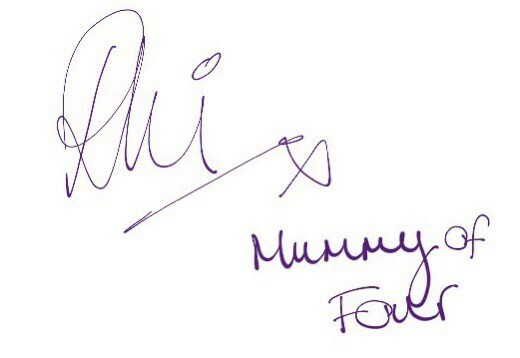 The document can be reached from any of your devices that you sign into. The original letter can then be recycled. Not only will this save you from having loads of bits of paper all over your house, but it means that you will never lose letters again as they are always accessible and to hand. You never know when you may need to call the school, because your child is ill, or your are running late perhaps. It is also helpful to have the school’s number in your phone so that you know that it’s them if they are calling you in an emergency. 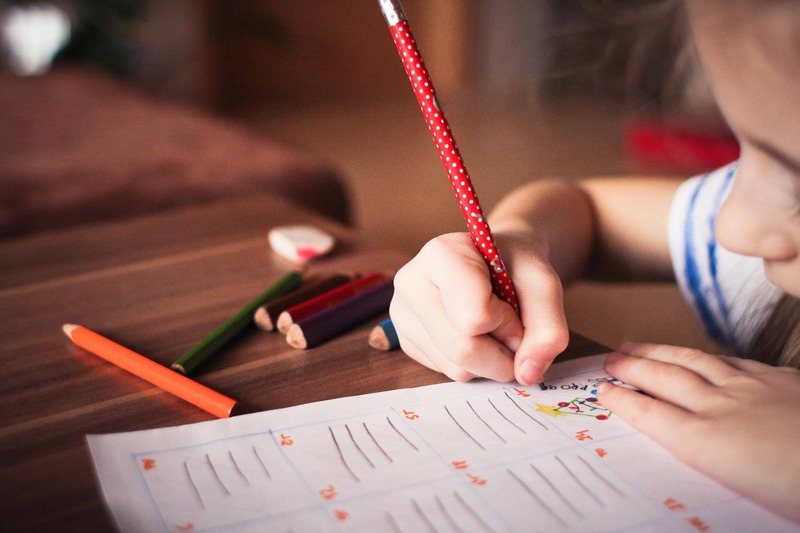 Adjust the times that your child goes to bed and wakes up in the morning in the week leading up to your child starting school to avoid it all being a bit of a shock on the first day. Even a child who has been toilet trained for quite some time is likely to have an accident during the first week or so of school, amongst all of the excitement and changes of being in a new place. Spare clothes packed in the school bag can avoid these little accidents upsetting your little one more than necessary. Now this one is tricky. When I asked a friend of mine who is an experienced nursery teacher, what would be her top tip for any parent with a child starting school, she was quite clear. She said that the wart thing that you can do when taking your child to school for the florist time, is to hang around the classroom when dropping them off. Even if they are upset, she says that the best thing that you can do is leave. You are bound to be anxious when dropping them off for their first day, you’re a parent, it’s only natural. The problem is, your child will pick up on that. So you have to leave. Give them a quick kiss, tell them to have a lovely time and get out of there. 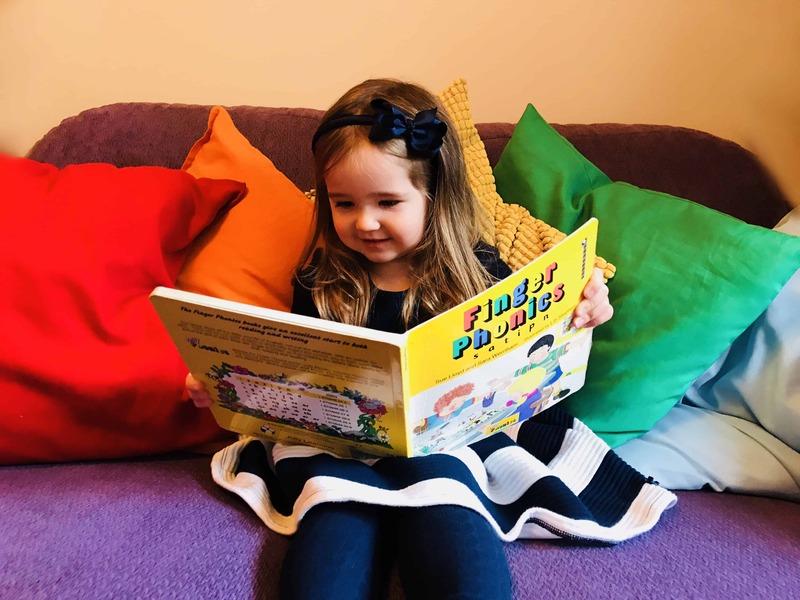 The teaching staff will be highly experienced in dealing with separation anxiety and they will soon have your child playing and enjoying themselves. This may sound like a harsh tip. I know that as a parent, it’s something that I struggle with, but believe me, in the long run, it’s for the best. By hanging around, you are only dragging out the process, meaning you may well be dealing with tears for a few mornings and not just the first one. Remember, if your child is really very upset after you leave, the school will phone you. The first weeks in any new classroom are a vital time for your child to settle into their new routine. If you need to plan holidays, doctor or dentist trips, try and avoid booking them during the school day for these first few weeks at least. Getting to know the other parents in your child’s class as soon as possible can make your life so much easier. Remember, that like it or not, you will be spending a lot of time with these people over the course of your child’s academic career. Think of not just the time standing in the yard waiting around ago pick up time, but the school concerts and the play dates and the birthday parties. It’s possible that it won’t just be your child with “new kid in the yard” nerves, but making the effort at the beginning can make all the difference. If there isn’t already one going, why not set up a WhatsApp group for the parents in the class to keep in touch. It’s a great way to learn everyone’s names and Is a great forum to ask other parents questions like “Did anyone bring home the wrong jumper?” “Is tomorrow non-unifrom day” “Would everyone like to come to my child’s birthday party” etc. So those were just a few tips to make your child starting school just a little easier. If you have any top tips, please leave them in the comments, I would love to hear them. 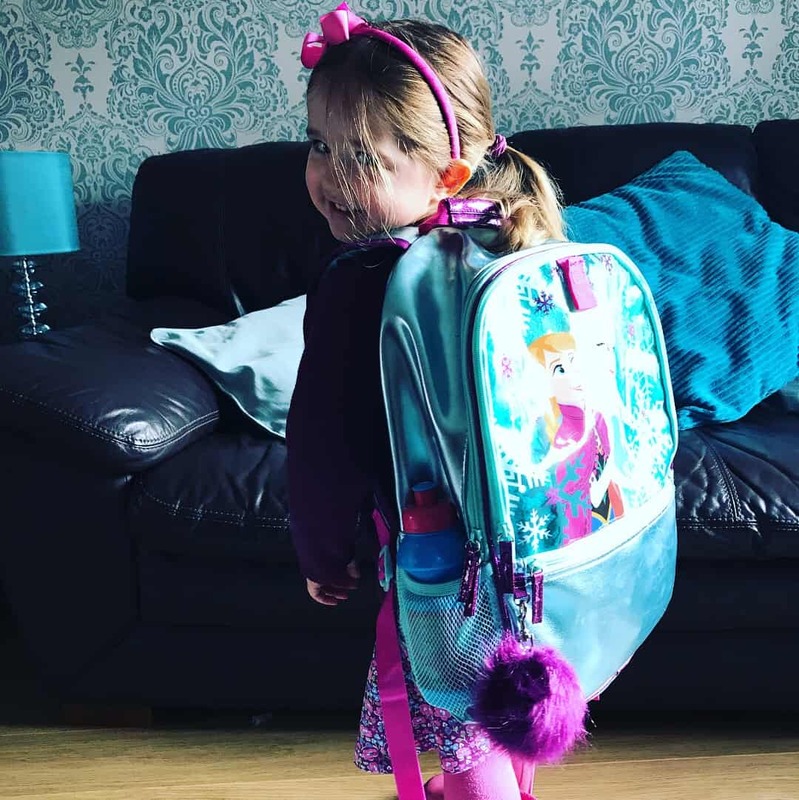 Don’t forget to check out my blog post all about organising your life for stress-free school run mornings, which will help whether your child is due to start school, or is older and has been attending for years.